The adorable Highland Cow cozy hottie from Aroma Home keeps you warm and cosy all night long. Gently scented with lavender oil to help aid a restful nights sleep. Heat for 20 seconds then carefully touch test. Continue to heat in increments of 10 seconds until the desired temperature is reached. Up to a maximum of 1 minute for 500 watt microwaves and a maximum of 30 seconds for 800-1000 watt microwaves. 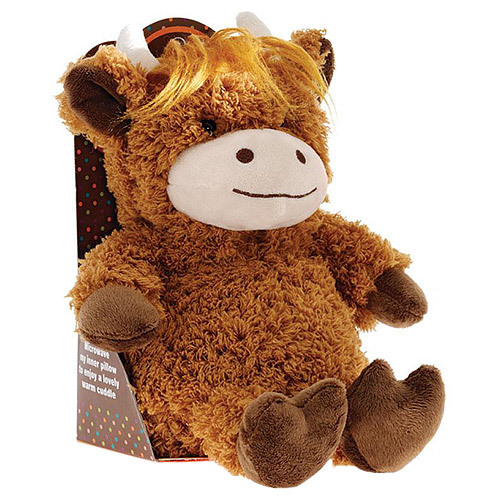 Below are reviews of Aroma Home Cozy Hottie - Lavender Scent - Highland Cow by bodykind customers. If you have tried this product we'd love to hear what you think so please leave a review.